Join us at CNE’s Realtor Lunch and Learn for local realtors interested in learning more about CNE’s programs and how to outreach to different income brackets. We will go into detail about our Homebuyer Education program as well as our Affordable Home Purchase program. A free lunch is provided. Is your wallet feeling dead by the time Christmas rolls around? 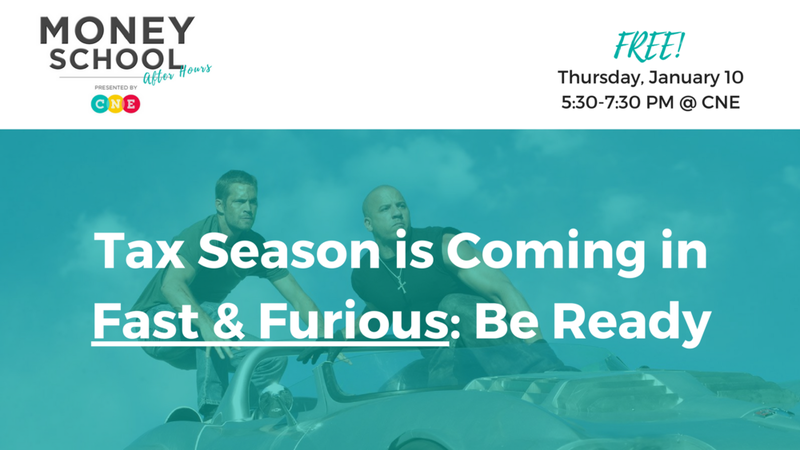 Let us help you avoid a Burton-like nightmare by teaching you how to budget & spend wisely around the holiday season! Ready to live large like Gatsby? Well it starts right here with a look into how to start saving your money and making more in the process! Filling out FAFSA can feel like a horror film come to life. Let us teach you how to be prepared to navigate federal financial aid. LaTricia has been the Director for Consumer Credit Counseling for 7 years. She holds a Bachelor’s degree in Business Administration from Central Michigan University, is a certified credit counselor and educator through the National Foundation for Credit Counseling (NFCC). LaTricia has also completed Non-profit Management and Leadership training through Neighborworks America. Giving her the knowledge and leadership skills needed to provide quality counseling and education in all areas of credit and financial literacy. Heading back to school? In search of some savings? Want to know how to work as a family to budget and be financially stable? 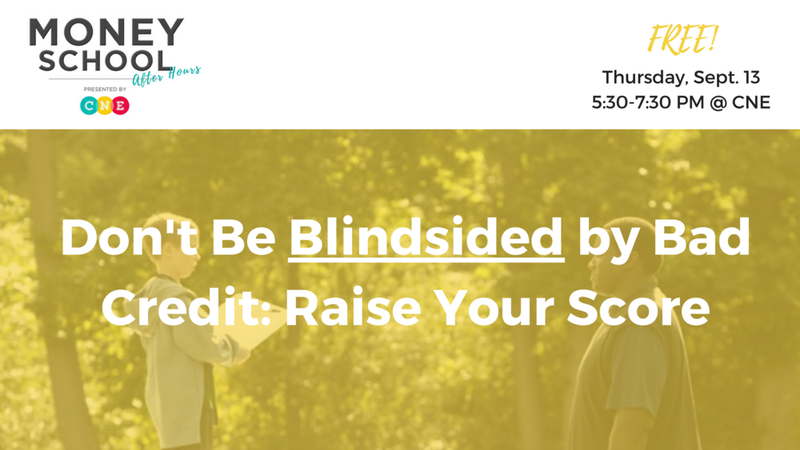 Join us to discover why discussing finances as a family can help build stability. Carol Hunter, affectionately known at The Money Mender, is a Personal Finance Expert, Author of Debt Free Forever, Founder of Carol Hunter University and an Ordained Minister. After 16 years as a Corporate Accountant and Controller, she followed her passion to help people achieve financial freedom, accumulate wealth and establish small businesses. For over 29 years, the Leading Lady of Prosperity Unlimited and Carol Hunter University has used her financial expertise and international platform to equip and empower her predominately female audience with money strategies and sound advice, to achieve their financial and business dreams through her LIVE events and financial education programs. Handling finances as a self-employer can feel like an alien attack. But this Independence Day, feel free to be yourself and become self-employed! In this class, we will cover the basics of self-employment finances, including taxes, insurance, buying a home, & more! Jeff Lynn owns the Farmers Insurance Agency located in the Northshore area of Chattanooga specializing in Auto, home, life, renters, motorcycle, recreational, umbrella, business, and workers compensation insurance. He is originally from Dalton, Georgia and east Tennessee. Past jobs in restaurants and retail took him and his wife Brenda to North Carolina and Atlanta before settling back in Chattanooga in 2015. They have an adult son and two adult daughters. Jeff wants to be known as a trusted advisor for Chattanoogans’ insurance needs. His interests include spending time with family; active member of Sojourn Community Church, and exploring Chattanooga’s great restaurants and gathering spots. Bruce Seigel is named community mortgage advisor at Chattanooga Neighborhood Enterprise. Seigel has 25 years of experience, most recently as senior mortgage advisor for Finance of America Mortgage in California. He comes to us with a diverse residential lending background including conventional, FHA, VA, USDA, Construction and Commercial/Investment property financing. He is joining the CNE lending team to expand our mortgage product portfolio. Life got you down? Are your finances in the dump? Come be a part of the interactive Game of Life, where you can learn more about budgeting, spending, & planning for you financial future! New to realty? 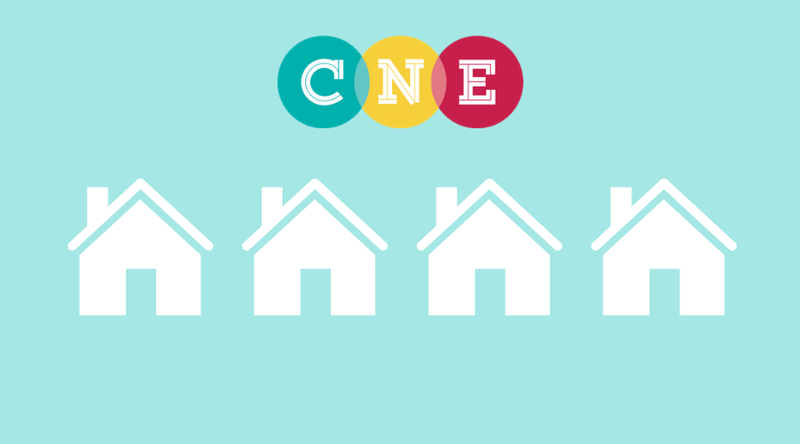 Not familiar with CNE's services? Money School is a financial literacy education program, featuring free financial education seminars, workshops, and panel discussions that focus on entrepreneurship, student financial aid & loan debt, understanding credit scores, home ownership and maintenance, car-buying, medical/estate planning, retirement, banking, payday lending solutions, investing, life insurance, social security, budgeting, and much more. Board the Bus to Financial Fitness! The BB&T Bank Bus is coming to the Bethlehem Center in Alton Park on Saturday, March 17th from 9 a.m. to 12 p.m. Breakfast will be provided! Don’t miss FREE workshops on credit scores, budgeting, and buying a home. We’re also offering free one-on-one credit score counseling and information on how to purchase a home using your Section 8 voucher. Credit counselors available at 9am, workshops begin at 10am. Adulting starts with understanding your finances. Budgeting and credit are a key component of having a healthy life. CNE is partnering with Healthy Transitions to offer a workshop on budgeting, credit, and what could be possible with the right approach to your finances. Learn how to manage your finances over a root beer float. Healthy Transitions supports youth and young adults. More information about the program available at www.tnhealthytransitions.org.